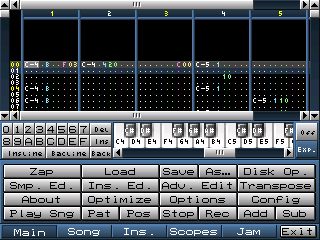 Soundmon Player for GP2X includes a whole bunch of modules as well. Plays a lot of old Amiga Modules! 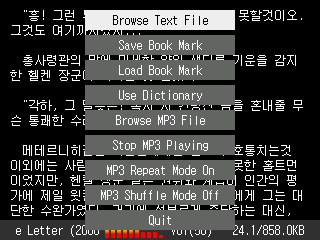 DicViewer is an Ebook reader like the default one from GPH but with MP3 playback integrated for those that want to here MP3 reading some text file. 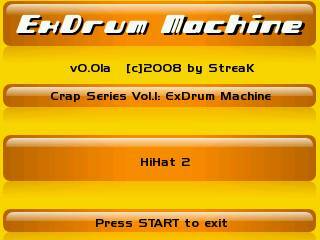 Drum machine WIP featuring 10 Channel 44.1Khz 16bit sound. 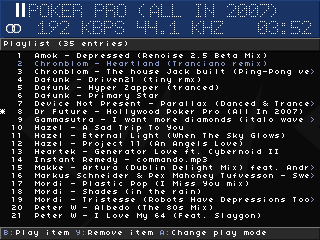 GMU is a music player for the GP2X. 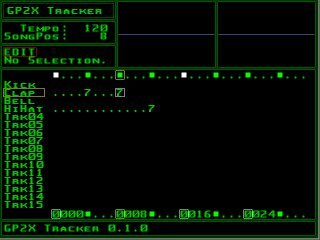 Drum tracker work in progress ported from David Olofson's DT-42 DrumToy code. A good base for a lot more work. GP2XInitSound allows to easily change the GP2X startup sound without use the "SELECT&START" method. 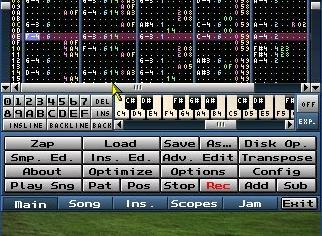 PD (aka Pure Data) is a real-time graphical programming environment used mostly for audio synthesis. Custom drumkit for the DrumboX. All samples are based on real sounds from the classic Roland TR-808 Rhythm Machine. 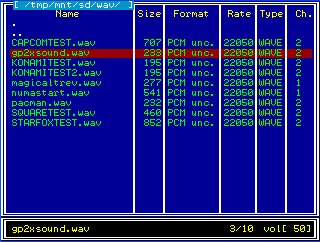 append some codecs from mp2x to libmedia. require firmware 4.1.x or newer. 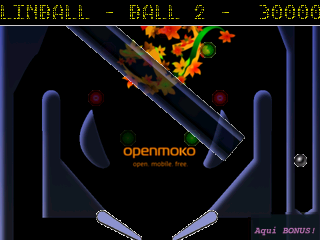 A pinball game, still a very early port. The physics are very weird at the moment. This should be fixed with future updates. 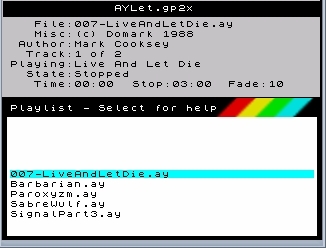 madplaygp2x is a command line mp3 player. Run it as a stand alone application or run it in the background while your game/emulator/application is also running. 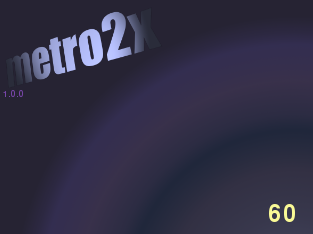 metro2x is a basic metronome for the gp2x. It requires pygame to be installed. This is a port of the latest Milkytracker version. It have touchscreen support. - 'Start' (home) Play song. - 'X' Play current pattern from beginning. 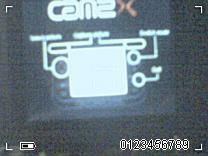 This is a movie resizer for the gp2x (or other device). 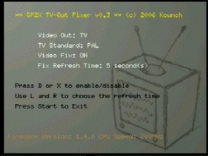 modified version from official GPH mplayer. fixed frame time rules, more smoothly playing in some files. These are the changes to the files for allowing mp2x to compile on the open2x toolchain. The changes are based on mp2x v3 but should be easily adjusted to mp2x v4.